The Feelworld Master MA7, now that’s how to name a monitor, and is what we are going to be reviewing in this video. This is the 4th Monitor we have reviewed on this channel, so let's see if this one is better than rest. Let's start off with the build quality of the MA7. It is the best out of all of the monitors we own, as this one has an all-metal body and the others are plastic. I still wouldn’t recommend dropping it but if you do, the MA7 should be able to take a harder hit than the others we own. There are 8 buttons on the top of the monitor. Power, menu, 4 to navigate through the menus and 2 custom function buttons. When you’re not using the menu it would be great if the left and right buttons were also function buttons. Currently, they are being used to change the volume as this monitor has a headphone jack. Having the volume controls set as 2 of the main buttons is a bit of a waste when they could be set to more useful functions you would use when shooting. This could all change and be updated as the monitor has a USB firmware upgrade port. The MA7 has both HDMI in and out, which allows you to daisy-chain the video signal to another monitor. This comes in handy if you have a focus puller who is operating away from the camera or if you have a directors monitor setup. Just like all of the other monitors we own, this one can be powered via NPF Batteries or via a DC power cable. The screen is 7 inches and has a resolution of 1920 x 1200 pixels. So it is super sharper and much is sharper than the Sony a7s camera monitor. The screen has a 160-degree viewing angle, which means you can literally view the image from any angle. You will have to calibrate this monitor to make it match your camera. This takes a little trial and error, by changing the colour tones of the monitor and the backlight brightness. I would say I got the colour, contrast, and brightness to about 95% there. We’ve had to calibrate the 4 different monitors we own, so it’s not just the Feelworld Master MA7 that requires this. This monitor will work with 4k cameras as well, with the resolution sticking at 1920 x 1200. The MA7 does have a latency of around 4 frames, but the other 3 monitors we own all have the same latency. We’ve used these monitors on all types of projects and you really don't notice the latency when shooting. You only notice it when you go frame by frame which you are never going to do. We are seeing a trend with the monitors in this price range. They all have the same software feature and most have the same interface, so let's talk about the ones we use the most. The first function button is set to false colour, the second is set to zebras and you can even set the IRE exposure level to match up with your camera. I personally like to always have centre markers on, and sometimes we will use the ratio markers to help frame up if we plan to add film bars in a post. This monitor also has an audiometer which you can have a screen at all times which is a nice feature to have. The monitor comes with 2 HDMI cables, a mini and micro so you can start using it straight away depending on which HDMI socket your camera has. Ours also came with a battery, but you will definitely need more. The monitor comes with a sunscreen hood. First, you have to clip on the frame and velcro the hood onto that. A problem we have found is that when you clip the frame on to the monitor it hides the graphics which indicates which HDMI socket is which, as you have HDMI in and out. We’ve added a little bit of gaff tape onto the frame so we know which one is which as we like to keep the frame on the monitor. This is just a design fault and does not affect the operation of the monitor in any way, but it’s worth knowing. You also get a standard ball head mount, which isn’t the best one we ever had, so if you are looking for a monitor mount check out our video on the AndyCine hot shoe mount. We think it’s the best one out there. You can find a link to that video at the end of this one. Depending on where you buy this monitor will depend on what accessories you get in the box. If you do want to buy it you can find a link in the description, it really helps the channel out if you use it. So is this monitor better than the 3 other monitors we have? The long answer is if you are looking for a new 7-inch monitor you’ll not be disappointed with the Master MA7, especially for the price. The monitor has a little bit of setup, but this is no different from the other monitors we have, the viewing angle is great, and it has all of the software features you need. The most important thing is that the monitor does not slow you down and get in the way when shooting. It just works. What do you take with you on set when shooting a film? Cameras, Lenses, lights, microphones, these are the obvious tools you would take, but what about the peculiar ones. In this video we are going to talk about the 5 things we think YOU should be carrying when on set and why this crocodile clip is the most important one. These are the 5 things that make up my daily carry when i’m on set shooting a film. Let's start with the crocodile clip. Before we shoot a film, we create a shot list. This will be printed off and placed in a production folder along with our storyboards and a script. We will have a few versions of this production folder hanging around on set, with the main one being with our 1st assistant director and producer who is the person running the shoot. At any point during the shoot, you can go to your 1st AD and check the script, storyboard or the shot list with them. As the DP I want to spend as much time next to the camera as possible, so I always create a smaller version of the shot list and clip it to my right front pocket. This means all I need to do is look down, see what shot is next and move on to that shot. I’ve found this to be a great way to be more efficient on set, and it allows our 1st AD to concentrate on directing other areas of the production, but I always know they are there when I need them. This also comes in super handy if you have a very small crew or you are your own 1st AD, DP, and director. Having this shot list clipped to you means you spend less time away from the camera finding and looking for the shot list. Even if you are just a runner or production assistant, ask the producer or 1st AD if they have a spare shot list for you to have. This way you can keep up and be prepared with what is happening on the shoot, and they will be impressed you took the initiative to ask for one. You can use a small torch like this to shine on your clapperboard when shooting in a dark situation. This means you do not need to change the exposure of the camera to be able to capture and read it. Also during a shoot, when changing rig parts, it has come it handy to shine a light on HDMI sockets when trying to plug a cable in and to shine in a bag when looking for another piece of equipment. It’s much easier than getting your phone out, unlocking it, finding the torch app and turning it on. I use these dirty rigger gloves when carrying and rigging up equipment, but also when operating the camera handheld as they give you that extra level of grip. These ones have a hole already in them so you can put a carabiner through and clip it to your belt holder. I clip mine to one of the back clips so they do not get in the way when I’m not wearing them. The two tools I use on this multi-tool are the pliers to help to tighten up camera rig screws and also the flathead screwdriver for camera plate screws. I use the flat head screwdriver the most so I added a little gaff tape tab to it so I can quickly see and access it. This multi-tool is very cheap but the quality of it is super high and only costs around £11 or $20. The reason I went with such a cheap one is that I did not know how much I would use it, which turned out to be only when we are shooting films. A piece of advice we always give to people is before you buy equipment, is to work out how many times you are going to use it, which will tell you if you really need it. If I went out and bought something like a Leatherman which is anywhere from £70 to £100. That’s a lot of money just sitting there waiting to be used when the cheaper version was the better option, for me anyway. The last thing I carry is a pen and a small notebook that fits in my pocket. I use this to refer back to notes or make them. The pen also allows me to cross off a shot when it is completed on the shot list. Links to everything I have mentioned can be found in the description below. Things I don't carry when shooting on set are my keys and generally my phone which I store in my bag. The reason for this is because I don’t want to have any distractions when shooting and phone notifications can do this. If you are using a phone on set make sure it is for production or emergencies uses. Otherwise, it can look very unprofessional. This is just a personal preference and the only thing I would use my phone for is the time, but I have a watch for that so I guess I carry 6 things. This is just my daily on set carry, but there are a bunch of other pieces of filmmaking equipment you might need. We actually made a video that shows what our 2nd assistant camera person carries when shooting. His utility pouch puts Batman to shame and it always has everything we need when shooting and is probably the reason I carry so little. You can find a link to that video via a card in the corner of the screen or in the description below. Cameras, lenses, lights, and microphones. These are the pieces of filmmaking equipment that get us the most excited when talking about equipment, but what about clamps? In this video, we are going to be talking about these crab clamps, and how having a bunch of them can help you set up equipment in difficult and creative places. We’ve had one of these Small Rig crab clamps for a while now. The amount of uses we’ve had from just one is quite amazing, so we asked SmallRig if they could send us a few more for us to put them into some filmmaking tests! The crab clamp is an all metal product with rubber grips and has 1/4"-20 and 3/8" thread. The clamp has a maximum opening of 44mm and a minimum of 15mm which is perfect if you are going to attach it to 15mm rods. More on that later! You CAN buy the crab clamp on its own, but we decided to get the small ball head magic arm which fits into the 1/4"-20 thread on the clamp. It also has a 1/4"-20 thread on the other end of the arm which allows you to attach many different types of filmmaking equipment. Magic arms come in all shapes and sizes and it’s always handy to have a bunch of different ones. Just like all the SmallRig products we own (and we have quite a few), this clamp is at a high standard of construction. The clamp gets a stronghold with little effect and the adjustable handle makes it easy to get it tight or slack. One of the main uses we have found for the crab clamp is attaching a small LED panel to it. We use these LED panels as an edge or hair light, which is what we using right now. We have the clamp attached to the bookcase behind us. This combination allows us to stick the light in a load of places without the need for a light stand. Instead of using the house lights in your location, you can clamp your own lights which will give you a great level of control over the brightness, shape and colour. This type of setup works great if you’re shooting a long take with your character walking through a location. You could add colour to those lights to help change the tone of your film. The clamps can also be used to attach a light or monitor to the 15mm rods on a shoulder rig. By doing this, you have more mounting options to suit how you would like your rig to be set up. Also, by adding this AndyCine monitor mount to the magic arm, you can quickly adjust the angle with one hand. We made a video all about this mini hot shoe mount, which you can find here. The max load of the clamp and ball head is around 1 Kilogram. We tested the strength of the clamp and magic arm by attaching our larger LED panel, an Aputure HR672c, with two Sony NPF batteries and it held the weight. The same went for the camera. We took it out of the cage and stuck a 35mm lens on the front. Now we can clamp the camera in places we could not before. Just make sure what you are clamping to is safe and secure. Safety is always key. This clamp is perfect if you have a GoPro or if you are a phone shooter as you could purchase a phone mount like this one which has a 1/4"-20 thread screw mount. If your light does not have a 1/4"-20 or 3/8" thread BUT you have 2 crab clamps, you can connect two together and create something we are calling The Double Crab Clamp. Clamp one end to a surface and the other to the non-threaded mount and away you go. Considering how many uses we have found for the crab clamp and how much it costs, which is around £9 or $11 not including delivery, we think it's a great piece of kit to always have in your grip bag. 🎵http://bit.ly/track-under-the-spotlight - Click here to download this episode's track. Check out Premiumbeat.com to discover a huge range of exclusive royalty free music! The guys over at AndyCine sent us a low profile hot shoe mount which we think is worth shouting about! Today we are going to talk about its features, the many different ways you can use it, and why we like it so much! It doesn’t look like much, but it packs a punch. We were sceptical about making a review for a product so small and basic, but MAN we were surprised when we started using it! It has 360 degree rotation and 176 degrees of tilt. This is great if you need to flip the monitor for self-shooting, as well as positioning a monitor when shooting at some extreme angles. It’s made entirely out of aluminium (or aluminum), which makes a great change compared to other budget hot shoe mounting systems. We’ve had a bunch of mounts in the past, and the ones that feature some plastic parts usually break before you can get them tight enough. It has a ¼ 20 screw on the top to attach monitors, lights, and other bits, and features a cold shoe attachment at the bottom for attaching to cameras as well as a ¼ 20 thread so you can attach it to things like light stands. One thing that this hot shoe mount DOESN’T have is the ability to hand tighten. Instead, it comes with a small allen key to adjust the tension on the rotation and tilt, so you can get it rock solid or loosen it off if you want some play to it. What makes this better than other methods, in my opinion, is you can find that sweet spot where it will hold in place, but you can also adjust it without having to loosen it off completely. It makes setting up the shot fast and efficient, perfect for run and gun shooting. You will need to carry an allen key around with you if you need to tighten it up on location, but I don’t consider it a big issue considering the advantages of this feature. The hot shoe mount comes with a bunch of extras. You get a handy padded tool case as well as a bunch of screw bits and a flat-profile wrench ...which even opens beer bottles. I also love the size and weight of this mount. It weighs only 45g and its dimensions are 4.5cm by 3.5cm by 3cm. So basically, it’s tiny and really light! We have used things like magic arms in the past to mount camera monitors to rigs before, and although they provide a lot of flexibility, they can be difficult to re-position and keep tight (at least the budget ones we’ve used). But this hot shoe mount seems like the better option considering you can rotate and tilt. So this mount is light, small, strong, and flexible, but the best thing about it is when you start to connect to it other products. First thing we tried was connecting it between our shoulder rig and a magic arm. Like I’ve mentioned earlier, repositioning a magic arm can be annoying as you have to slacken it off, adjust it, try to hold it in place, then tighten it up again. This is even more difficult if you are trying to adjust it while it's on your shoulder as you really need two hands to get it positioned properly. By adding the hot shoe mount onto the magic arm, it means you can easily re-position the monitor with one hand without assistance from someone else. The next thing we tried was attaching it to a crab clamp. The clamp we have already includes a ballhead arm which gives you a lot of flexibility, but it's another mount which is either locked or unlocked. By adding the hot shoe mount, it means you can make slight adjustments without having to reset the lock. We will be reviewing this crab clamp by SmallRig in the next coming weeks. If you want to see all the ways you can use this thing to help you make films, get subscribed! You might use this one - you might not - but, if you have a video mic on top of the camera, the hot shoe mount will give you the ability to offset the direction of the microphone. This could be handy if you are framing someone out of centre but you want to keep the microphone directed towards them. In all honesty, if you are recording sound during an interview, placing the microphone on the camera is usually a bad idea. We have a video talking about that. There is a card in the corner and a link in the description. But, in a pinch, you may find this technique useful. 🎵 http://bit.ly/pbtfl-1970sbrazil - Click here to download this episode's track. Check out Premiumbeat.com to discover a huge range of exclusive royalty free music! From the initial idea to the final export of your film, there are lots of steps you need to do which will help you achieve The Film Look. It’s kind of like playing a game of Monopoly. Every film starts of with an idea. Some ideas will be good, some bad, and sometimes you just have to make them to find out. An idea is nothing unless you have a script. The first properties on a monopoly board are not the most desirable at the start of the game, but in the case of filmmaking these are the most valuable. Investing time is all you will need to do at this stage of the game, and developing your idea by writing the 1st, 2nd, 3rd or how many drafts of your film should be done now. Once you have a draft you are happy with, take a chance and let others read it. Take their feedback onboard, make changes where needed, and work on it until you have a final draft you are happy with. Having a solid script will definitely be your get out of jail free card when you are on set shooting it. You want to be spending more time in pre-production that you do in production. Having a thought-out production plan will help make the shoot go a lot smoother. First you want to invest in someone who can help you produce the film. Depending on the level of film you are trying to make, this person could have a lot of experience or none at all, but they need to be as passionate as you are. Next you can work out the budget for the film. Whatever it is, start to assemble your cast and crew. Invest as much time and energy as you can here; these are the people who will be helping make your film a reality. Scout around and find the locations for your film. We have a video about how to do that if you want to check it out. Build a production plan that is made up of your shots list, storyboards, and shooting schedule. Be organised but don't advance to shooting just yet. Spend time and money on the production design of your film. The right-looking costumes, props, and set dressing will allow you to be ahead of the game and achieve The Film Look a lot sooner. This is where all those hours spent planning your film come into play. Things will not always go to plan, so be flexible and work with your team to make the film. Don’t take a chance with sound; get someone whose sole job it is to record sound. And let your picture and sound people do there job, but if you are the picture and sound person, don’t forget to direct your actors. The more roles you can give to others, the more each person can concentrate on their own job. From the planning stage, your camera operator will understand the look you are going for, and he or she can direct the 1st AD, Grip, and Gaffers to help achieve that look. After hours, days, weeks, or even months of shooting, you will now have all of the footage you need to edit your film. But don’t jump ahead and start editing just yet. Time is back on your side so spend it Organising and syncing your files. Once the edit gets complex, you’ll be glad you spent time organising it as you can’t buy this time back. Get your rough cut done; but don’t worry about how the colour grading looks, how the effects shots are not complete, or even how the audio sounds at this point. Share it with others, ask them about the edit and what does and does not work. It’s better to find this out now. From the feedback you receive, make changes, colour grade your film, finish the effects, and add your Foley and sound effects. Then don’t look at it for a week! That separation from the project will allow you to see the edit with fresh eyes; you will see your mistakes and way you can improve it. Do as much as you can to make it the best you can, but tax yourself to get it complete. Having a final film you can show others and learn from will be your most valuable asset. There are many steps to filmmaking that I haven't described. 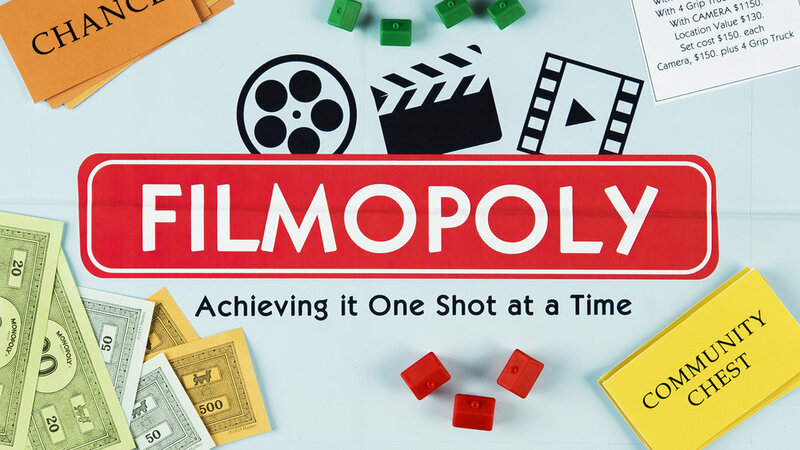 Plus it’s not as easy as a board game, but you CAN play the filmmaking game like you're playing monopoly. Take every opportunity, buy every property, take every chance. At first your films might not turn out the way you thought they would, but you will have learned about the process of how to make a film. The more times you go around the board, the more your skills you’ll take with you onto the next film. Once you’ve gone around the board a few times, look at the skills you have developed. You might find there is an area of filmmaking which you want to invest more time and energy into because you enjoy it the most. The more you learn, the more you can invest, and before you know it you have won the game. Play the game of filmmaking as much as you can, and hit the orange lens cap to subscribe, and remember achieve it one shot at a time. 🎵 🎵 http://bit.ly/pb-finestimports - Click here to download this episode's track. Check out Premiumbeat.com to discover a huge range of exclusive royalty free music! With every film we make we always learn something new. That could be a tip, trick, hack, or piece of advice which we did not know. In this video we are going to share 100 filmmaking tips, tricks, hacks, and things we’ve learnt whilst making films, in under 10 minutes. Add labels with the size of lens to each of your lens caps. It makes it much easier to find in your bag. Can’t draw? take photos to use as your storyboards. Never place the microphone on the hot shoe of your camera if you are recording dialogue. Buy a 3.5mm extension cable so you can still plug it into your camera to get it closer to your actor. If you have a flip out screen on your camera, create a little tap out of tape to make it easier to flip it out. If you are making DIY equipment or doing hacks to it, make it look as professional as possible. You don’t what to turn up on set with something that looks janky. Add velcro to a dry wipe pen and your clapper board so you always have a place to store the pen. Ask personal questions to your actor whilst they are in character to get to know more about your character's backstory. This is called Hot Seating. Number your batteries so you know how many you have used and have left. Get the actor to say their dialogue at their highest level they would when performing, then set your levels so you aren’t peaking. A 5in1 reflector has a 6th use. You can use the cover to wrap around a hanging light to flag it off the walls and focus the light downwards. Print off a small shot list and clip it to your belt. It will not get in the way, and it will save time as you always have a shot list next to you. Play music on set to help people get in the role, especially for your actors. Shoot at a higher f-stop. It’s better to have your shot in focus than shallow depth of field. Get your actor to perform the action and dialogue that is a couple of lines before the shot you are shooting. This will give them momentum and lead them into the shot. Add LED lights to your camera bag. Go to the Film Riot YouTube channel, click sort by, oldest date added, and watch all of their videos. Also make notes. Use a headphone splitter so two people can listen during recording and playback. When your actor/characters sits down, the drama sits down. So have them doing something in the scene, it’s boring just watching two people sitting or standing talking to each other. Spend time organising your files before you start to edit, you will thank yourself later. When you have the first draft of your edit complete, don't look at it for a week. Show it to others, and ask for feedback. Work on other peoples short films, you will learn a lot more than watching videos. Don’t be on your phone, you don’t need to check Facebook and Instagram when you’re making a film. Ask before you take a set photo for your social media, the production team might want a closed set. Have someone on set that is taking behind the scenes photos, these are nice to have for promotional and portfolio material. Learn the rules of filmmaking before you start to break them. And if you break them, make it for a good reason because if you don't get it right people will know. Some audio recorders have a dual record mode, one can be set lower just incase your audio does peak. If you are the sound recordist and the audio peaks or there is an external noise that can be heard whilst shooting, don’t shout cut as you still might be able to use some of that take. But once cut has been called, say you were not happy with that take. It’s better to record it again now than to try and fix it in post. Don't struggle to reach a light up high which is on a stand, lower it, adjust it, raise it back up. Use a frosted shower curtain to create a large diffused light source. If you need your actor to be out of breath, make them go for a jog as you can't fake out of breath. Make a playlist for each of your characters to help get them in the role of the character. Ask questions to those who read your script. “Is the dialogue okay? Are the actions clear?” This will invite them to give feedback. If someone says ‘Martini Shot’ on set, it means it's the final shot set-up of the day. If you're actor stumbles over a line, just keep rolling and go back a couple of lines. Cutting will break the flow and waste time. If you forget to mark the start of the take or the clapper board could not be in shot, make sure you clap at the end of the take, which is called second sticks. If you notice the take wasn’t marked, make everyone aware before the camera and sound is cut. 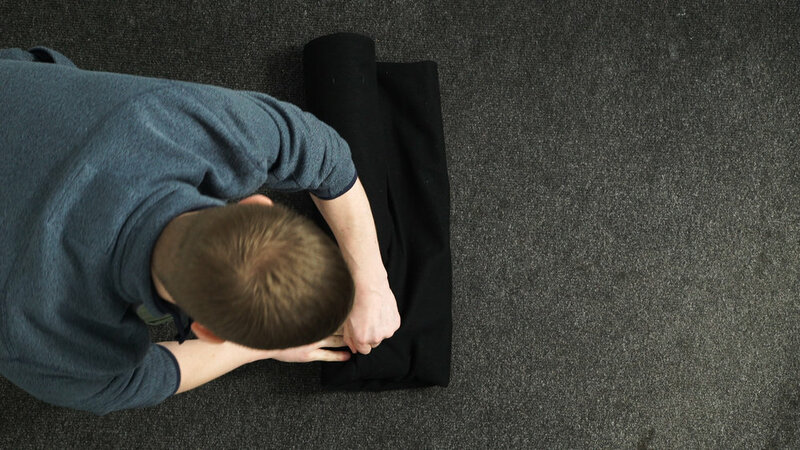 Add Neoprene pads to the bottom of shoes or objects to deaden the noise they make. Place a CD, Piece of Plastic, Torch, Glass, anything with a reflective surface in front of your lens to add weird flares to your image. But use them as a reason to help tell your story, not just because they look cool. Whilst we are on the subject, learn to trust others to help make your film, people will be willing to help. Pre-line your script so you know exactly when to start and finish covering a shot. Date your camera batteries so you know how long you have had them. Batteries lose charge over time and this way you will know how long you have had them. The type of equipment you shoot on does not matter, but it also does depending on the type of film you are making. Learn how to use new equipment before you get on set. If you have to learn it whilst shooting it's an unnecessary stress you do not need. Work with the camera team to find out how low you can boom before you dip it in shot. And don’t get your microphone in the shot. I’m counting that as another tip. Don’t over use slider shots, use the movement to help tell a better story not just because the shot looks cool. Make a movie poster for each of your short films, print it out, and put it up to remind you what you have achieved. Always have a few large coins in your bag for tripod plate screws. Or buy a flat headed screwdriver which stays in your bag and is just for tripod plate screws. Make sure your microphone is no more than 3 feet away from your subject. Have your camera slate in the shot before the camera starts to role. This means the first frame will have all of the shot information which will save time when naming and syncing up your shots as you will not have to go looking for the information. Freesound.org has thousands of free sounds effects and foley. They have everything from someone eating and apple……..to gun shots. When you are packing your equipment for your film, test your camera, turn on every light, test extension cables, microphones, audio cables, make sure your batteries are charged. Basically test everything before the shoot. A tripod can be called legs or sticks. If you have to adjust your tripod legs to make your camera level, buy one of these neewer leveling bases. You’ll wonder how you lived without one. Buy old prime lenses. They are cheaper, sometimes sharper and have different characteristics that you will not find on newer lens. Try taking a couple of frames off the start and end of each shot. It may work well to tighten up your edit. Before editing your audio, play your favourite song and adjust your volume to a comfortable level. Make a note and always monitor your audio at this level. Your dialogue should lie between -6dB and -24dB in the mix. Condense your shot list. Find way to join the shots together with pans and tilts. Movement is always more cinematic than a cut. Before the shoot, sit down with your cast and crew and go through the entire plan to get everyone on the same page. At the end of the shoot, once all of your equipment is out of the location, do one last check to see if you have missed anything. When you are handing someone a piece of equipment, don’t let go until they say ‘Hands on’ then you can say ‘hands off’. Safety is key on set. Before you turn on a light shout ‘Lights going hot’ this will give people a warning and time to avert their eyes. Get a small LED torch like this one. It can fit in your pocket and costs about £3. You wouldn’t believe how useful it can be. Use bungee cords to stop lights stands and tripod from falling over when stored. Remember, achieving the film look is not about camera setting, fancy shots, and the LUT you apply to your footage. It’s everything you see in the frame, props, costumes, acting, locations, everything. You don’t always have to shoot using a flat profile like S-Log 2 or 3. Learn how to shoot using other profiles as well, it will save you time if the project needs to be turn around faster, or if you do not have a lot of experience color grading flat footage. Have brightly coloured audio cables. You can see them on the floor and if the cable drops into frame. If your actor is performing an action whilst delivering dialogue, try to minimise the noise of the action so it doesn’t infect your dialogue. Unclip the bottom tripod legs first, it will be easier to access the next leg as they are in the middle of your tripod and not at the bottom. If you have a plastic lightweight tripod do it the other way. A fishing seat box trolley is a cheap and good way to move your equipment around. Watch your film and make a list of the sounds that you should be hearing. Clothes rustling, chairs creaking, cups clinking on the table. Fill your sound space. Hot swap between your film and your favourite movie when mixing audio. Your audio should be a similar level. You’ll know if its too loud or too quiet. Understand that people will not turn up and drop you in it at the last minute. Before your final export, watch your film on a phone, tablet, and TV to see what it looks like. Every device will look different. Also listen to your film on a phone, tablet, TV, with cheap headphones and on studio monitors if you can. Can you hear all of the sounds on each device? If not, trying to make changes and listen again. Clip the script and shot list to the back out our clapperboard. This works great if your clapper loader and your 1st AD are the same person. Recording clean dialogue is your highest priority, don’t worry about recording foley yet, you can record all of that after if needed. If you can not apply aspect ratio bars to your camera or monitor, work out where they need to be and stick card to them. Spray Paint your lens caps Orange, they’re easier to find. When you rip of a piece of tape, leave a little tap on the roll so it is easier to get the next piece of tape. Making films is the coolest thing, so remember to have fun. 🎵 http://bit.ly/pbheat-tfl - Click here to download this episode's track. Check out Premiumbeat.com to discover a huge range of exclusive royalty free music! If you're anything like us, when you sit down to write you need to make sure you are sitting in the perfect location. You need your notebook with your favourite pen. All your notes need to be set out correctly, and you can not start writing without a cup of tea. We can’t help you find out what you need to start writing, but here are a few apps to keep you focused when you get passed the hurdle of sitting down to start. Trello is a website and app which allows you to organise projects. It is built so you can add lists, and in those lists you can add cards. In each card you can add notes, photos, videos, create checklists, set deadlines, and sync Google Drive documents. When writing you can make a list for your characters and make individual cards for each person. In each card you can make notes for each of your characters, attach photos of the type of person you would cast or even costume choices. The list can also be used to help organise the structure of your story. You can have a list for Act 1, 2, and 3. In those lists you can treat each card as a scene, the same way you would use index cards. By using Trello you can quickly and easily move the cards around if the structure changes in your film or if a scene works better elsewhere. Adding notes to each scene card will help you keep organised and each card can be customised with its own colour to help identify it. Basically Trello works like using post it notes, but you can quickly move them around, and attach more information. Trello has many other features that you might like, the ones we have mentioned are just the ones we use the most. It’s great if you are working as a team as many people can have access to the same board. This is what we use to help organise The Film Look YouTube channel. Flux is a program which adapts the color of your computer's display. During the day your screen will be running at a cool temperature of 5500k. When the sun starts to set, night mode will gradually change the colour temperature of your screen to a warm 2300k. If you are a night owl and do most of your writing when everyone else has gone to bed, get flux. Your eyes will adjust to the colour change without you noticing. Reducing the blue light coming from your screen will protect your eyes from light strain and will allow you to write more comfortably. We find white noise can help distract us from what is happening around us and the best white noise out there is Rainy Mood. Rainy Mood is exactly that; it plays the sounds of rain and thunder. When you’ve been listening to rainymood for over an hour you become very relaxed, and it definitely feels weird when you take off your headphones and you can’t hear it anymore. Alternatively, put on a soundtrack to a film or TV show similar to the idea you are wanting to write. If you’re writing a horror, listening to horror music will help you get in the mood. In the past we have listened to the song Time from the Inception Soundtrack on repeat for hours and played rainy mood alongside it. This combination can help you to immerse yourself into your writing. If you are writing scripts you should also be reading them. Finding the time to do this can be difficult, but if you listen to podcasts or audiobooks whilst you are walking or on your daily commute there is an app called Script Speaker which turns a script into an audio book. If you sign up to Script Speaker you can upload your first 3 scripts for free, and after that it is $0.99 each. All you have to do is upload your script and review any changes the app makes. Normally this is just changing INT and EXT to Interior and Exterior. Then you can choose between Laura, Sharon, Peter, or Will to narrate your script. We’ve found Peter to have the least robotic voice. A 15 page script took around 1 minute to convert. After that you can download it onto your phone and listen to it on the go. It does take a little while to get used to. Don’t just use Script Speaker to listen to other peoples scripts, use it to listen to yours too. Listening back will allow to approach your work from a different angle and allow you to be independently critical. When writing any script you can become so familiar it is easy to miss mistakes in the story, so listening back rather than reading can help you identify any issues. If you have any suggestions for programs you use to help you write let us know in the comments below...and stop wasting your time reading this blog post and go and write! One of our subscribers asked us how they can tell better stories in their vlogs. Well with a little filmmaking knowledge and some basic storytelling techniques, we can help YOU make your vlogs more entertaining, informative, and engaging - all without spending a single penny more! First, let's define what a vlog actually is! It’s a broad term, so lets put down some ground rules: a vlog is a piece of video content posted by a creator who features AS themselves in front of the camera and shares their thoughts and knowledge on something. To put it simply, vlogs are videos of people sharing their world. Let’s get this first one out of the way. Your kit is the last thing you have to worry about when making vlogs. You don’t need a fancy camera, cool lights, and a top of the line microphone. As long as the footage isn’t blurry and we can hear you clearly, it’s perfectly good enough for a vlog. Most smartphones are more than good enough for shooting content. So don’t blame your tools! When something isn’t quite right with your vlogs, the first thing you’ll probably do is blame yourself. “I’m not interesting in front of the camera” you might say. WRONG. It’s not that you aren’t INTERESTING, it’s that you are not INTERESTED. Successful vlogs are about people who love what they do. They have a passion. Whatever subject it is you are talking about, you must be invested in it. This is your core subject, and it’s this single core subject which will help give your vlog some structure. More on structure in a bit. Cody’s Lab is a prime example of being interesting by being interested. He makes videos about mining ore, smelting, and science experiments. He even has a series about Beekeeping. Until I watched his videos, I had literally no interest in Beekeeping, but because Cody is so passionate about his core subject I kept watching. You don’t have to be the most charismatic and exciting person in the world, but by simply having a real interest in what you are talking about, you will automatically shine on screen. A mistake a lot of new vloggers make is hitting record on the camera and waiting for something interesting to happen in front of them. Unless you are a rich superstar rapper who ends up in crazy situations every single day, you’ll need to plan your vlog to make it more entertaining. Write down some subjects, places, things, or topics you want to cover in your vlog; just make sure they are things that interest YOU. Before you go out for the day, you should have an idea of the type of video you want to make. This will give you a stronger backbone when you shoot, it will give you a focused subject, and it will help you craft the story as you go along. “Character -> Conflict -> Goal” is an essential storytelling technique. Every great story follows this rule and your vlog should too if you want to stand out from the crowd. Who is the character? YOU are! Interesting characters have strengths AND weaknesses, so don’t be afraid to show what you are AFRAID OF, CAN’T DO, AND DON’T LIKE, as well as the positives. What is your goal? Tell us about what you want to achieve inside the vlog. In the filmmaking world this is called exposition. It’s the information the audience needs to know in order to follow along with the plot. For example, in the movie Inception, they need to explain the whole thing about dreams, implanting memories, and stealing thoughts in order for the audience to be able to follow along. So tell your audience your goal, document your journey, and show us the obstacles that get in your way. In filmmaking there is a term called “Arrive Late - Leave Early”. You see this executed in film and TV all the time. It’s that cut between the Police Officer grabbing his jacket off his chair and arriving at the scene. You don’t need to see everything in between to understand the change of time and location - your brain works it all out. YOU can use this technique to help improve the pace of your vlogs. If you want to show the passage of time, for example, you can actually do this in very few shots. End your scene by picking up your jacket, insert a quick shot of your watch, then close the door at the next location. We understand in just a few seconds that you’ve left one place and arrived at another without masses of filler material. Your shots give the audience visual information, so don’t give them too much useless information just to fill up the timeline. Use your time wisely, and try to cut the fat from your edit. This is not very entertaining, nor is it informing the audience to further the plot of the film. Some people might not agree with what I’m saying. Some people might prefer the organic, no-format, whimsical style of a vlog. And that’s totally fine! But if you want to compete with the best, using some storytelling and filmmaking techniques will certainly help you stand out. 🎵 http://bit.ly/pbbluenotes-tfl - Click here to download this episode's track. Check out Premiumbeat.com to discover a huge range of exclusive royalty free music!